Literature is and has been one of the most fundamental tools for learning throughout history. This means the opportunity to help others through literature cannot be understated or overlooked. In fact, it was the very development of writing that enabled humans to share their spoken language, bridge cultural differences, develop social laws and enable complex problem solving. Sustainable Living Academy understands this necessity and has risen to the cause by creating a program that offers free sustainable literature to whoever wants it. We see this literature program as an essential part of the Sustainable Training Center and is dedicated to sourcing, writing and publishing whatever is needed to transform the growing social sustainable knowledge into an abundance of sustainable practice. The Sustainable Multimedia Program provides a combination of resources, education and guidance to support those who seek to become more proactive in the distribution and dissemination of sustainable literature. The intent of this program is to help people gain access to sustainable living and development literature in their local community through existing retail, non-profit, libraries, schools and other municipal facilities. Our nonprofit can provide sustainable literature in a variety of formats depending on whether the media has been produced in-house or is an existing sustainable industry publication. This literature can be in written, audio or video format such as brochures, manuals, online, paperback or audio books and DVD's. In-house literature production includes the writing, editing and publishing of sustainable pamphlets, fliers, books, DVD’s and a proposed multi-volume Sustainable Living Encyclopedia. The program applicant can choose from a list of sustainable literature which can be delivered in multiple copies depending on the specific literature requested. Applicants are able to select the title and number of publications along with a description of their use and dissemination of the literature. This literature is provided at no cost and applicants are required to distribute or provide access to the literature free of charge. Under no circumstance is an applicant or their affiliates allowed to charge for access to this literature. d. SYNOPSIS: Are there other books and volumes on the topic of sustainability? Yes, however, the topic of achieving a "sustainable lifestyle" is often given a less than complete perspective. Achieving a sustainable lifestyle takes much more than an understanding the laws of supply and demand or how technology can assist in creating sustainability. Sustainable living requires solutions that take into account a shift in human values that reverse the current trend of out-of-control over-consumption to what we call "compassionate consumption". It requires an understanding of the delicate balance that must be achieved with nature and how resources can be conserved, renewed and recycled. It requires an understanding that enables people to live in harmony with each other and with nature. It includes consideration and choices that may differ depending on geographic location, resource availability, weather patterns and cultural unity. What may be a successful model for one location might result in a total failure for another location. 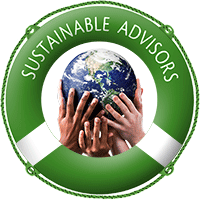 This undertaking is meant to create the most detailed and comprehensive resource for sustainable living and sustainable development no matter where you live. This book is proposed to be researched, written, published, and distributed under the Sustainable Living Academy, Inc. non-profit. It will be completed through the collaborative efforts of a variety of industry experts and existing resources on various disciplines of social management and sustainability. The outline for this work includes every facet of sustainable living, as well as the pros and cons for virtually every sustainable option imaginable. This work will be separated into volumes, some of which will include: housing, food, energy, fabrication, resources, community planning, community governance, health, artisan, spiritual, education, etc. 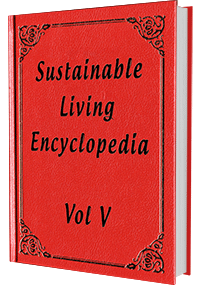 The accumulated works will represent the largest and most comprehensive encyclopedia for sustainable living ever created and maybe the last volume ever needed.